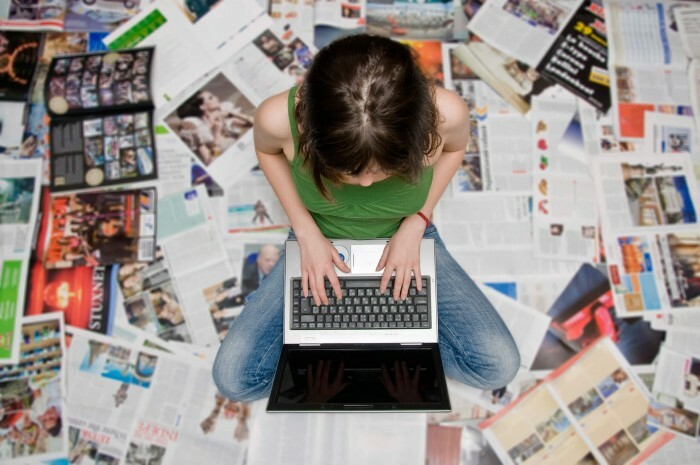 Numerous universities offer bachelor’s degree and graduate programs in journalism. Several of them have won acclaim for their academics, placing high in rankings compiled by various organizations. All the schools on this list are recognized by the Accrediting Council on Education in Journalism and Mass Communications. A degree from one of these prestigious institutions may qualify you for a job with a leading newspaper, magazine, or broadcast company. Numerous graduates of the top-ranked colleges and universities have earned Pulitzer Prizes, Peabody Awards, and Emmy Awards. While there is no definitive list of the best journalism schools, some programs have been received high praise from multiple authoritative sources. Here is a look at those that have placed high on several lists. The first journalism school in the world, established in 1908, is the University of Missouri at Columbia. It topped a list of best journalism schools (published in December 2013 by NewsPro Magazine) that was based on a survey of 1,321 members of the Radio-Television Digital News Association. The school was third in rankings by Education Portal. Missouri-Columbia placed fourth in a survey of 400 news professionals that took into account admissions standards, faculty quality, campus media outlets, professional publishing opportunities, and internships. The university’s journalism program was rated sixth-best in the country by College Magazine. A staggering total of more than 30 undergraduate degree programs, more than 20 two-year master’s programs, and six doctorate degree programs are available. A pair of master’s programs are offered online. Prospective students, to qualify for admission, must meet one of three requirements: placing in the top 10 percent of their high school classes, scoring 29 or higher on the ACT, or scoring 1,290 or higher on the math and verbal portions of the SAT. Missouri-Columbia is famous for teaching the Missouri Method of journalism, which combines classwork with practical experience. Students work at the Columbia Missourian, a community newspaper and online news outlet; the nation’s only university-owned community television station and major network affiliate; and an FM radio station. The Medill School of Journalism at Northwestern University has operated in Evanston, Ill., since 1921. Its graduates include more than 40 Pulitzer Prize winners. The school ranked second on the NewsPro Magazine list and in the survey of news professionals. College Magazine placed it eighth. In addition to an undergraduate program with multiple majors, the college awards more than 250 graduate degrees annually. Master’s program concentrations include interactive publishing, magazine writing and editing, reporting, and video-broadcast. Graduate students receive a year of practical experience in newsrooms in Chicago, Ill., and Washington, D.C.
Northwestern’s Global Residency Program, which involves more than 150 media partners, provides full-time employment and training for reporters and public-relations specialists. The Grady College of Journalism and Mass Communication at the University of Georgia has been graduating journalism majors since 1915. It is the home of the Peabody Awards, the top honors in electronic journalism. Grady was third on the NewsPro Magazine list and second in College Magazine’s rankings. The school offers bachelor’s degrees in advertising, public relations, digital and broadcast journalism, mass-media arts, magazine journalism, public affairs, publishing management, and visual journalism. Master’s and doctorate programs in mass communication, as well as a new-media interdisciplinary certificate program, also are available. The Grady College is a leading research institution, featuring studies in health and risk communication, political and policy communication, narrative storytelling, critical studies, and sports communication. The S.I. Newhouse School of Public Communication, founded in 1934, is one of the more exclusive journalism schools. Typically, only 350 of about 4,000 applications from prospective students are accepted. About 225 people apply for 800 spots in master’s degree programs each year. This school placed first in the survey of news professionals, was ranked fourth by NewsPro Magazine, and came in 10th on the College Magazine list. About 1,800 undergraduates annually pursue majors in newspaper and online journalism, TV-radio-film, advertising, broadcast and digital journalism, magazines, graphic design, photography, and public relations. Students have opportunities to perform internships and study abroad. Newhouse offers master’s of arts degrees in advertising, audio arts, broadcast and digital journalism, documentary film, print and online journalism, media studies, public diplomacy, and Tv-radio-film. There are also master’s of science programs in communications management, media management, photography, and public relations. In addition, Newhouse provides a doctorate program in mass communications. More than 1,600 students are enrolled in bachelor’s and master’s degree programs at Arizona State University’s Walter Cronkite School of Journalism and Mass Communications in Phoenix. It was rated fifth-best by NewsPro Magazine and placed sixth in the survey of news professionals. ASU features a student-produced television news broadcast, which airs on PBS; the Cronkite News Service, distributing multimedia news stories to more than 30 professional outlets in Arizona; a Washington News Bureau, providing opportunities for students to report on public-policy issues; a fellowship program, partnering with the Washington Post and NBC News; the New Media Innovation Lab; and a Public Relations Lab. Nearly 600 internships are provided each year for Cronkite School students, whose instructors include award-winning journalists. Ranked first by Education Portal, third by the surveyed professionals, and sixth by NewsPro Magazine is Columbia University in New York City. In 2011, U.S. News & World Report rated CU the fourth-best university overall in the United States. This is the institution that awards Pulitzer Prizes. The Ivy League school was the first U.S. institution to award graduate degrees in journalism. Students choose from among master’s of science programs in journalism, which consist of classes, seminars, and workshops; master’s of arts journalism programs; and a doctorate of philosophy in communications. The highest-ranked public university in the United States, according to U.S. News & World Report, is UC-Berkeley. Its journalism school was rated second-best by Education Portal and placed eighth in the survey of news professionals. Master’s program journalism students enter one of 13 tracks of study that include business, environment and science, international news, investigative reporting, newspapers, magazines, new media, politics, and radio and television. The E.W. Scripps School of Journalism at Ohio University in Athens, Ohio, boasts 13 Pulitzer-winning alumni. It was ranked fourth by news professionals, seventh by NewsPro Magazine, and ninth by College Magazine. Bachelor’s, master’s, and doctor’s degrees in journalism are available. Internships are required. Students get experience working for thc campus newspaper, television station, and AM and FM radio stations. Academic tracks include advertising, broadcast news, magazine journalism, news writing and editing, online journalism, and public relations. Placing eighth through 12th on the NewsPro Magazine list were the University of Florida, the University of Montana, Lyndon State College, the Philip Merrill College of Journalism at the University of Maryland in College Park, and the University of North Carolina at Chapel Hill. Among those making the top 10 in the survey of news professionals were the University of Southern California’s Annenberg School, New York University, and George Washington University. College Magazine ranked the University of Florida’s journalism school No. 1. Indiana University was third; the University of Kansas, fourth; the University of Maryland at College Park, fifth; and the University of North Carolina at Chapel Hill, seventh. These are the most respected universities from which to receive degrees in journalism. Tuition varies widely, with some institutions charging high rates. However, scholarships and other financial aid are available. Many factors need to be taken into consideration when deciding where to go to college. Students planning to pursue careers in journalism may want to put these schools on their lists of prospective universities.